The concept of Garden Towns or Garden Villages was first introduced in the UK in 1898 and has continued to modestly grow ever since to be defined as: a free-standing, self-sustaining, high-quality urban space that can address the housing issues and is led by the local authority and supported by the community. Every region and community holds its own unique characteristics and vernacular. Continuity between architectural style and building design within the development and the surrounding area will create a coalition between the existing and new residents which in turn adds value to the quality of life within that community. Injecting a new neighborhood with its own facilities and potentially brand new occupants into the countryside, requires a great deal of scrutiny into the existing and local features through studying the surroundings and consultation with stakeholders and community representatives. 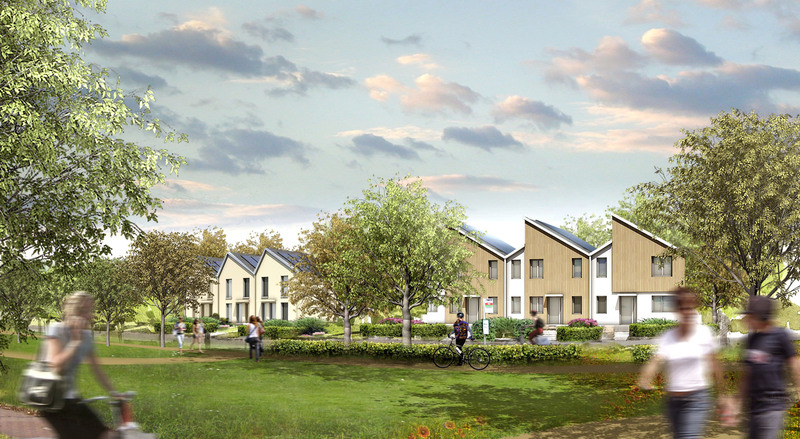 BREEAM Communities scheme has an assessment issue worth of 2 credits dedicated to the subject of Local vernacular to confirm that the development relates to the local character whilst reinforcing its own identity through a few practical steps. Services and infrastructure (such as new drainage systems and gas and electricity services etc.) are built as part of the development which upsets people who live nearby in numerous ways if not done properly. Power loss, road closures, interrupt customer supply or unnecessary expenses are some of the unwelcome outcomes of the inefficient structure for the existing/surrounding communities. This is addressed under BREEAM Communities’ 'Utilities' assessment issue where 3 credits are awarded for providing ducting and access point for services and also for service providers’ coordination to ensure that installation and maintenance would not interrupt consumers’ supply. Puts pressure on the existing infrastructure and services where no extra infrastructure or services to support the new homes has been provided. The notion of considering communities needs and requirements in terms of services and facilities and also the delivery of these are visited in a few assessment issues within BREEAM Communities at the very early stages of development. Both of the above cases have led to unhappy stakeholders, whether that’s the community or the local authority. Whereas an early consultation with the stakeholders alongside an assessment of the transportation situation in the area followed by a design review in line with the results can prevent either of the above issues. The most commonly accepted number of homes the UK needs to be building each year, in order to meet future housing need, is 240,000. Despite the small increase (6%) in the number of the newly built homes in the past year, we are far from achieving the above, hence the Government backing of the garden villages. However, the housing crisis is not about how many homes we can build each year, it is about how many of these homes are affordable, habitable and practical for the people, the community. This is where the politically sponsored, sustainably created and socially approved Garden Villages/Towns come into play.